#5 – Broken Systems. Many churches function as if they’ve arrived, as if they don’t need anything else, as if they’ve gotten all of God there is to get. They go through the motions week-after-week and settle with the mundane task of circling the wagons. Reality is no congregation has arrived at a place where they don’t need to expand their efforts to reach more people and become more effective. It’s an ongoing process. 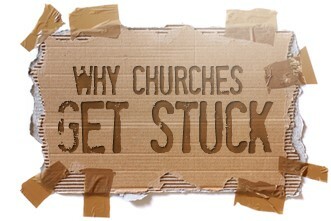 One of the main reasons churches are stuck is because their systems and strategies are broken. Churches continue to use the same systems, yet hope for different results. The only way to get different results is to employ different systems. Unfortunately, many churches (and denominations) would rather stay stuck and eventually die than apply changes that might make people (including leaders) feel uncomfortable. We need to continually work on our systems and strategies. Ministry is a process that’s always changing, not a product that we eventually complete. Are there any symptoms that might indicate your church is stuck? Be honest. #4 – Personal Preference. It’s not about you. Unfortunately most people believe it is about them. From music, to carpet color, to assigned seating… Beware of the ‘me-monster.’ I’ve preached in a lot of churches over the years and it’s amazing how many look like a time-warp from 1950. These congregations are stuck with an infrastructure that was developed in the 50s and 60s. As congregations dwindle, it gets more difficult to keep ministry vibrant when there hasn’t been an intentional attempt to reach out to younger generations. 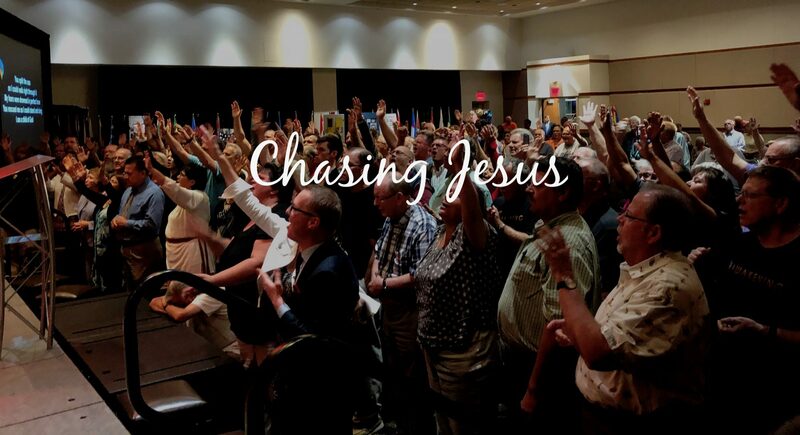 At my last pastorate one of the patriarchal leaders said, “There comes a time when I have to relinquish my personal preferences and allow the next generation to take the wheel.” At my current congregation the story is told of the church moving to a new location. During a worship service several senior members were sitting near the front singing new praise choruses. They turned to a visitor and said, “Isn’t this great.” He said, “So, you really like the new music, huh?” They responded, “No, we don’t care for the music, but we love all the new people.” Point made: It’s not about you. Personal preference is choking the power out of the church. It’s time to give it away. #3 – New is Evil. If new is evil, you’d still be a sinner with no hope. We serve a God who makes all things new (2 Cor. 5:17). The Bible is a story of God continually doing new things. So why do so many churches get stuck with a “new-is-evil” mentality? The church with this mindset sees everything not contained inside the walls of the institution as ungodly. It becomes a subtle form of fundamentalism and creates and ‘us-vs-them’ mindset. This approach causes members to focus more on memorials than people. When I enter a church that has memorial plaques covering walls and furniture, I immediately recognize that this is a congregation who places a larger emphasis on the past than they do the future. It reminds me of the Israelites wandering in the wilderness. God led them with a cloud by day and a pillar of fire by night. When God moved, they packed up or got left behind. Unfortunately, for many congregations the Shekinah glory has moved on, yet they’ve remained in the wilderness. They celebrate the good ol’ days while failing to recognize that today is the day of the Lord. Don’t get left behind. Embrace the new things that God is doing. #2 – Cloning Process. When a church refuses to engage the community, which includes accepting people where they are in life, it begins to die. When I was a teenager I always tried to bring friends to church with me. One of my friends had blue hair and gauge earrings; another had really long hair and tattoos. Both of these friends are now dead, and the church I grew up in did a terrible job reaching them for Christ (by the way, that church is now closed). As a matter a fact, I don’t recall any effort on behalf of the church to reach them in any way. These guys came to church with me on many occasions. Yet, most of the time they expressed how uncomfortable they were while there. This is too often reality. It’s sad. Once, I read a book that had a picture inside of “the model church member.” It was a man in a suit and tie standing on a pedestal with a Bible tucked under his arm: his hair was perfect, his family was perfect, and his smile was perfect. Many churches seem to develop the notion that we must clone our members. In other words, everyone needs to look and act alike; uniformity is the goal. Where did we ever come up with that idea? Certainly not in the Bible. We must diversify our thinking if we are going to make disciples of all people. #1 – No Vision. “Where there is no vision people perish…” or as The Message states, “If people can’t see what God is doing, they stumble all over themselves; but when they attend to what he reveals, they are most blessed” (Proverbs 29:18). In other words, if a congregation is not continually identifying what God is revealing, they will die. It’s a simple idea, but an important one. Where there is no guiding vision, no sense of true north, no sense of where you are going, what you should be doing, the direction you need to take, no real leading of God, then you have nothing keeping you on course. When that happens, people cast off restraint. Anything goes. Time is spent without direction, and without discretion. They don’t make the most of every opportunity. They spend their days, but they don’t invest them. We need vision, but not just any vision. We need God’s vision because “with God all things are possible” (Matt 19:26, NIV). I think you may have something here Dr. Powell !